Home Technology - Hacking Did The Zuckerberg Hearings Provide A Sense of Relief For Facebook? Did The Zuckerberg Hearings Provide A Sense of Relief For Facebook? Mark Zuckerberg had to go through a marathon testimony before the US Congress this past week. It lasted around 10 hours. About two hours into the testimony, the CEO of Facebook and a Republican Senator from Texas, John Cornyn, had an awkward exchange. John Cornyn essentially wanted to know what happened to all the data when a Facebook user wanted to quit platform and deleted his/her account? Zuckerberg, in no uncertain terms, responded that if the user deleted his/her account, the company deleted the user’s data. Some might have thought that answer would have sufficed but no. Cornyn continued his exchange with Zuckerberg. And asked about all the third party advertisers that the company had contracted with in order to use some of the previously-mentioned underlying information, perhaps that the third-party companies used to target advertising for their own purposes. It doesn’t take too much analysis to know that Mark Zuckerberg would have found such line of questioning as exasperating. Mark Zuckerberg, during the hearing, mentioned it time and time again that his company, Facebook, did not sell any data to any advertisers. According to some, doing so would undermine the company’s own business because data would enable an outsider to develop and deploy competitive ad-targeting products of their own. Exercising a lot of patience, Zuckerberg tried to explain yet again how his company, Facebook, really worked. He said that Facebook did not sell any data to any third-party advertisers. Then he said that Facebook did not sell any data to anyone in fact. Some media reports have mentioned that before the US Congress hearing, some of Zuckerberg’s close colleagues over at Menlo Park had to deal with a lot of nervous energy. The media had (fairly or unfairly) mocked, insulted and battered the company for many weeks before the hearings. Facebook’s stock price had pretty much collapsed. 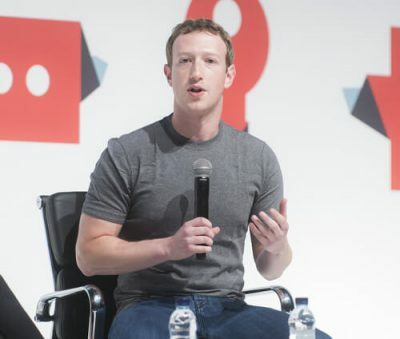 On top of that, Facebook employees had nothing to look forward to except Mark Zuckerberg, who had never established himself as a charismatic or quick-witted CEO with a huge stage presence, scheduled for a grilling at the hands of professional grillers. Facebook felt the whole thing roughly similar to what any father of a bride would feel at a mildly tense wedding where he has a refilled glass of something he would regret drinking later and is about to slide up right next to the microphone in order to give a toast. The toast could, potentially go pretty okay. In fact, it should, in most cases, go okay. But there is always a chance that it would go terribly wrong. After a few minutes had passed since the hearing started, everyone at the company’s headquarters started to feel a sense of calm. That’s according to several Facebook employees when some outlets asked about their own reactions to the hearings. Well, for one, it became clear rather immediately that the majority of the senators had little idea about how the company worked and what it did. One Facebook executive told a reporter from Wired magazine that he personally found it surprising how ill-prepared some of the members appeared. He also said that once it became clear to the company employees how bad the situation was and how mismatched the senators were against Facebook, everybody at the company had sort of this awakening. The awakening that even though the company had made some mistakes, but these senator folks knew even less. In fact, several people at Facebook started to pass around a meme. The meme had Chuck Grassley, a Republican from Iowa, asking Mark Zuckerberg about a magazine that he had recently opened that actually came with a floppy disk which offered Chuck a 30-hour sample of something call America On-Line for free and whether that was the same as Facebook. When Cornyn finally reached the finish line in his session with Zuckerberg, John Thune, a Republican from South Dakota, interjected that the time had come to take a well-deserved break. According to some, Thune held the most amount of power over the company, Facebook, in the entire room. The company is under fire for the way it handled user data. Because he oversaw the US Senate Commerce Committee. The Senate Commerce Committee, in turn, tries to help oversee the US Federal Trade Commission. Of course, it is another fact that he may actually possess the best jawbone of all. As far as the break went, Zuckerberg responded with a no. He did not want a break and actually felt fine to just keep going. Zuckerberg actually mentioned that they could carry on with a few more questions. In other words, the hearing did not wear down Mark Zuckerberg. Some reports say, there were actual cheers from some of the company’s employees in Menlo Park. One of the employees who was watching the session on TV described the hearing as magic. And in another spot in the company’s offices where all the senior executives had managed to father, people helped themselves with some smiling and laughing. To put it another way, the toast was actually going really fine. There wasn’t much that could go horribly wrong now. Meanwhile, some of the employees at the company had their eyes glued to the company’s stock ticker. The same stock sticker that hadn’t seen an upward tick for quite some time, started to go upwards. Shortly afterward, a Republican from Nevada, Dean Heller asked Zuckerberg a question that apparently did not have an easy answer. He asked Zuckerberg if he believed that he had more responsibility with personal data of millions of American people than the US federal government? At that point in time, Zuckerberg had a simple choice to make. He could just try to weasel his way out of the question. And tell the senator that the answer to the question was a hard one. Or he could just try to throw out some words that sounded muddled but patriotic. He went with the option of saying something short and simple. After that, he took a pause. And then he tried to move on by talking about other things. According to a Facebook employee, Zuckerberg had a moment of magic right there. The answer to the question totally changed the mood of the company’s employees internally. The past week, not everyone found Zuckerberg’s responses as impressive as some of the company’s employees did. To take an example, let’s talk about the New York Post here. Even speakers at the TED conference had something to say about how Zuckerberg handled the hearing. To put it in simpler terms, the TED conference hammered Facebook on more than one occasion. One speaker by the name of Jaron Lanier declared that he did not think the human species could survive if it did not fix this problem. In other places, people tried to make fun of Zuckerberg for sitting on, what they dubbed, an actual booster seat. Perhaps people who saw Zuckerberg for the very first time found it surprising that Zuckerberg could actually appear something close to a humanoid. Trevor Noah, mentioned that Zuckerberg might just have sent in a robot version of Zuckerberg himself. 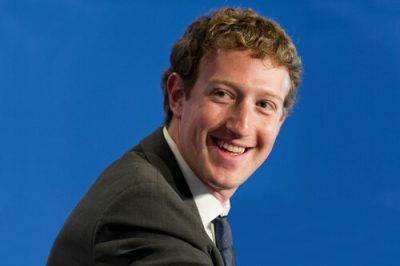 Other hosts such as Jimmy Kimmel asserted that Zuckerberg, almost, even managed to actually replicate a simple human smile. Thought it is very unlikely that Zuckerberg himself cared too much about all the jokes and the cheap shots. But he must have noticed the value of his company. It rose by around $17 billion while he answered questions during the hearings. That, in turn, made Zuckerberg about $2.5 billion richer than when he entered the hearings. Perhaps in many ways, Zuckerberg considered calming down his restive employees as the most important part of the US Congress hearings. If we’re only talking about the last couple of weeks then it is safe to say that people working at Facebook must have felt like people who worked for Goldman Sachs back in 2008. Right now, Facebook has one important challenge. And that challenge is employee retention. Despite the fact that the company still makes billions. And the fact that it still serves Kombucha shots on the company’s corporate roof, there is a severe competition for engineers as far as Silicon Valley is concerned. Again, in the past couple of weeks, Facebook seemingly looked weak. And something that competitors found easy to raid. Mark thinks everything is fine. So it probably is. Right? We also know about reports where one company employee actually boasted about quitting the company publicly. But if someone considers employee morale as the best metric to know if the company is going strong, then Zuckerberg managed to found a lot of success with his testimony. Quite early on in the US Senate hearings, the Republican from Utah, Orrin Hatch, sort of pushed Zuckerberg on the question of why the company did not have a subscription-based service model. Zuckerberg tried to answer the question in a cautious and careful manner. After the first question, Orrin Hatch further asked, if so, how could one sustain a business model under which the users actually did not pay for one’s service? To this Zuckerberg responded one more time, and with a smile, that the company ran ads to make its business model sustainable. How Does The Ad Business Work? Of course, no one should understand that the hearings went absolutely perfectly. That holds true for even at home. The employees found it mystifying that Zuckerberg, rather frequently, seemed to have little to no answers when Senators (and others) asked for more details about the company’s advertising business. 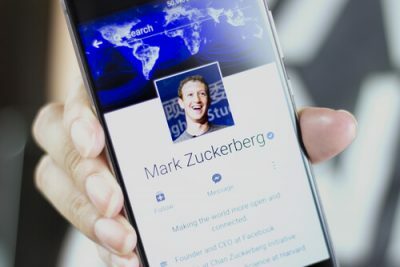 Roy Blunt, a Republican Senator from Missouri, pressed Zuckerberg on why the company’s CEO could not specify whether the company tacked users across their multiple computing devices and whether it tracked their offline activity. Credit where due, Zuckerberg did well to restrain himself from making a point about Blunt being a Cambridge Analytica client. Regardless, Zuckerberg did seem similarly mystified on many of the company’s details. Details such as how Facebook collected data on people and the like. From an overall perspective, Zuckerberg did make the promise that he would follow up with everyone on a total of 43 issues. Now, of the 43 issues, many were pretty straight-forward. These simple ones only concerned themselves with details about how the company’s ad business worked. It is entirely possible that Zuckerberg actually wanted to dodge all questions related to the company’s ad business. Because he would not have liked to talk about the company’s tracking systems on national TV. However, people on the inside go with the angel that Zuckerberg genuinely did not know the answers to those questions. But again, that raises the question, why didn’t Zuckerberg know? Well, inside Facebook, colleagues, and employees simply saw the lack of knowledge as a sign. A sign that most of them had already acknowledged that Zuckerberg had little interest in the business side of things. 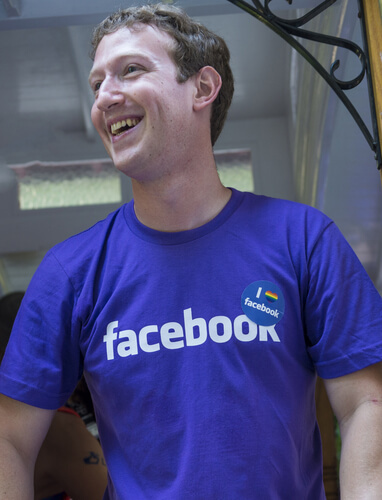 Zuckerberg always preferred the engineering and product divisions. Kate Losse, the former speechwriter of Zuckerberg, told one reporter from WIRED that according to her, Zuckerberg did well. Now, even though she thought Zuckerberg did fine, even she found Zuckerberg’s inability to provide answers to questions regarding the details of how Facebook made most of its money as striking. She told WIRED magazine that she genuinely believed that Zuckerberg did not care much about ads. As mentioned before, Zuckerberg went through a marathon testimony. But just because the testimony took a long time, it doesn’t mean Zuckerberg successfully closed out all questions about some of Facebook’s biggest threats. For example, Zuckerberg did not provide thorough answers to the extent of involvement from Russian operatives on Facebook’s platform. It is another thing that Congress members actually did not ask thorough enough questions. Some believe that it is completely possible that everyone will, in due time, start to see the threads of Russian operatives and Cambridge Analytica stories converge at some point. If that does happen, the Facebook will actually have to manage something which will be much darker than the absolute mess it had to deal with in the past couple of weeks. Moreover, it would also mean that the data, including the one belonging to private messages, of all Facebook users who trusted the platform, in reality, ended up in a foreign adversary’s hands. We’re talking about a foreign adversary who tried to manipulate the United States presidential election. And no one has even started to talk about the looming issue of the FTC consent decree (2011). Then there is the problem of whether the company, Facebook, to tell the truth, violated its own terms. By not taking appropriate action to reasonably protect its users’ privacy. Especially after the company had learned about the data gathering that Cambridge Analytica carried out. Needless to say, the relevant investigation is still ongoing. And Zuckerberg did from nothing to little to put that investigation to rest. It is entirely possible that the results of the investigation may cost Facebook billions of dollars. Even with that, the “troops” back home felt happy. Why did they feel happy? Well, one can’t say for sure. Mark also commented on what happened to user data when they deleted their account. Perhaps one of the reason is that Zuckerberg did survive two marathon hearings. And the fact that Facebook came out of all the mess with as little damage as possible. Last Thursday, just a day after Zuckerberg had finished off the hearings business, Sheryl Sandberg supposedly had to address the company’s staff in a, what they call, company-wide question and answer session. Instead of that, they go to see Zuckerberg returning to the company’s headquarters in Menlo Park. Upon arrival, he answered some of the questions in person. What did the “Day two” of the CEO’s testimony look like? Well, according to some reports the testimony looked like two hearing in one. On the second day, people saw conservative representatives questioning some of the company’s content-moderation policies. Of course, one also has to keep in mind that the 2011 consent decree which Facebook had signed with a US federal agency did not prevent any of the additional privacy missteps. If the past two years of Facebook are any indication, it seems like the company is going to have to deal with a lot of questions related to its privacy settings. And of course, how the company delivers content to its users. Facebook is no longer just a social media platform. It has become more of a media company. The company provides users with news and then collects data on its users to sell them ads. This is what traditional media companies do. And this is somewhat what Facebook has been doing for the past many years.